A judge-turned-lawyer under investigation for taking tens of thousands of confidential documents from the Supreme Court was found to have emailed incumbent judges on Monday to appeal his case while the court was still reviewing a request for a warrant to search his office. While he was a senior research official at the Supreme Court, Yoo Hae-yong allegedly received a document written by the National Court Administration on the 2014 decision by the Constitutional Court to dissolve the minor Unified Progressive Party after its leadership was convicted of plotting to overthrow the South Korean government. He is also believed to have handed over to the National Court Administration a document he wrote about a lawsuit against former President Park Geun-hye’s plastic surgeon, and to have taken classified Supreme Court files with him when he retired in February. 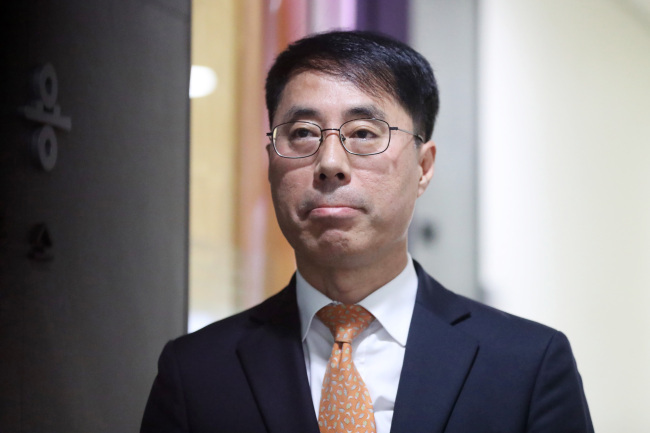 When the prosecution began to investigate him, Yoo destroyed most of the documents and emailed incumbent judges about his case while the court was reviewing the prosecution’s search warrant request. Prosecutors suspect that the incumbent judges may have attempted to impede the probe, and are looking into whether the judges were involved in destroying evidence. In his email to multiple incumbent judges, Yoo denied allegations that he had meddled in the 2014 patent suit against Park’s plastic surgeon, or in a lawsuit initiated by former members of the Unified Progressive Party. About the classified data that he collected while working at the Supreme Court, Yoo said he had not broken the law but had only taken away reminders of his time at the court. The timing of his emails, however, raises new allegations as they were sent before Monday evening, when the court denied the warrant for the third time since last week. The court only issued a limited warrant to search for the document on the Unified Progressive Party. Prosecutors confirmed that Yoo had tens of thousands of reports and initial drafts of verdicts in paper or digital format, and requested a search warrant on Friday. The National Court Administration said Monday evening that it had asked Yoo to hand over the materials he took, only to hear that he had destroyed them after the warrant was denied.